Karolinska University Hospital is one of the largest university hospitals in Europe. The hospital has a triple assignment of healthcare, research and education, and guiding vison – “Patient first”. 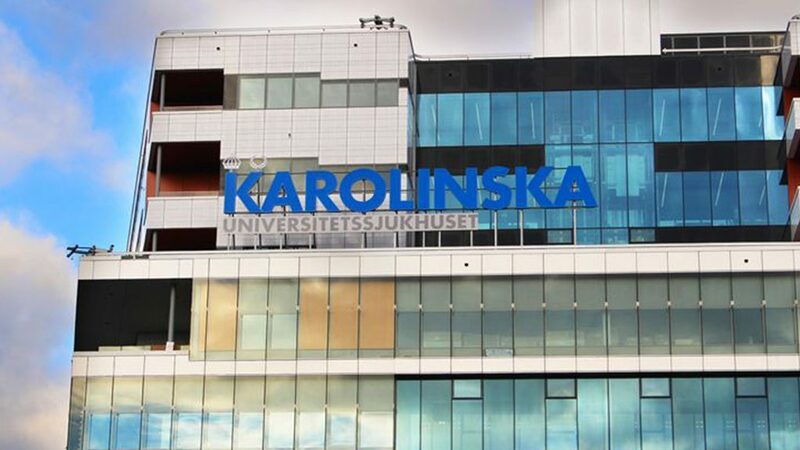 The hospital works to deliver closely with the Karolinska Intitute, providing training and conducting world-class medical research in many fields. Together, they form an academic healthcare system hub generating new and improved medical outcomes and accelerating the time to patient access of the benefits they bring. Stockholm County Council´s healthcare plan tasks Karolinska University Hospital with providing highly specialised Healthcare and with commissioning new and modern hospital buildings in Stockholm. Karolinska University Hospital´s new hospital building in Solna is one of the largest ever investments made in health and medical care in Sweden. The building will augment our ability to carry out our assignment to provide highly specialised care, not only for patients in Stockholm, but for those from other parts of Sweden and other countries, too. The new facilities will also optimize the expertise and equipment at our disposal, enhancing our ability to take care of the most severely injured and seriously ill patients.